If you’re a regular reader of Polka Dots & Picket Fences, you know I love styling bar carts for parties and fun get-togethers with friends. 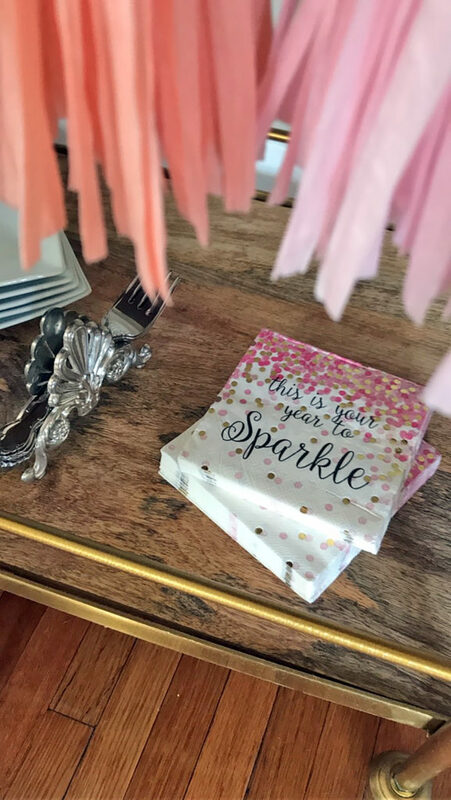 There are so many possibilities…you can style them for holidays (such as Halloween or St. Patrick’s Day) or a fun theme (like “party like a pineapple” or a “bubbly bar” with champagne)! Typically when I decorate and stock my bar cart, it is to serve beverages. 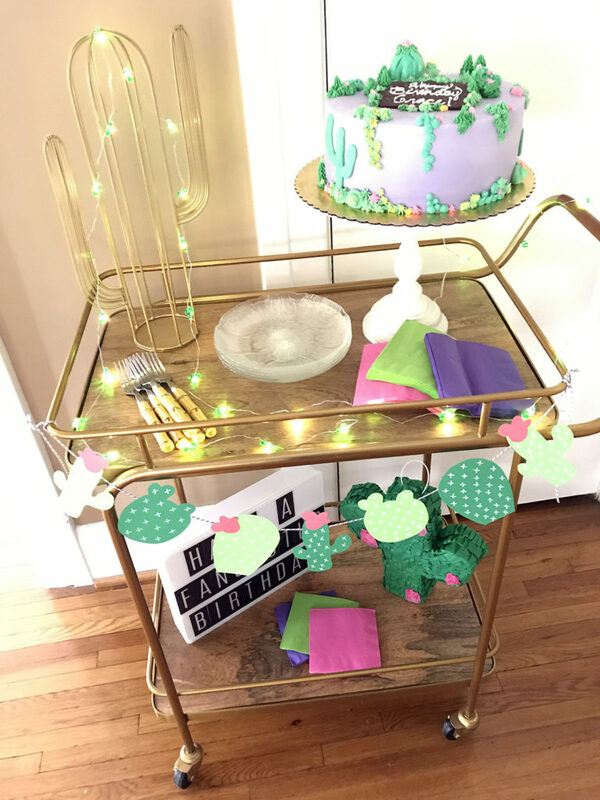 We recently celebrated the birthdays of my two oldest daughters, and I used my bar cart for something a bit different…serving birthday cake! 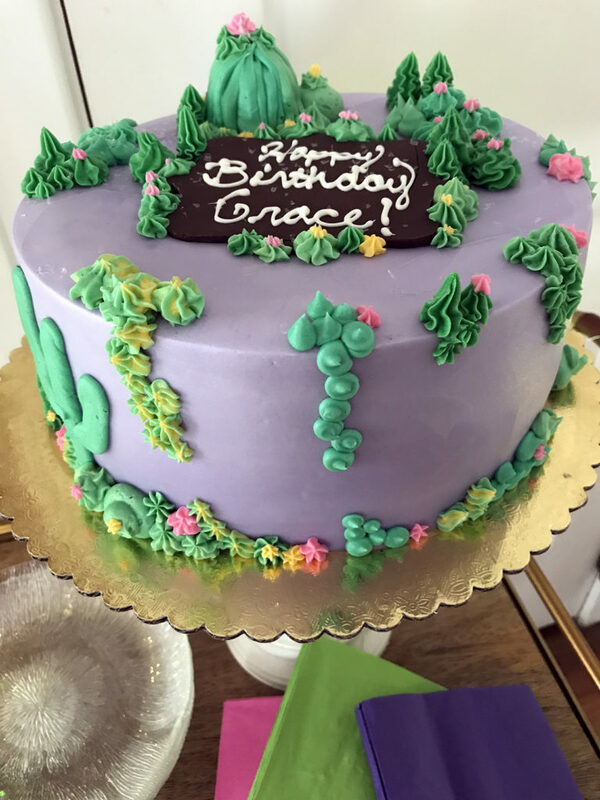 Grace, my 17 year old, LOVES anything with a cactus on it! So that was the theme I chose for her family birthday celebration. 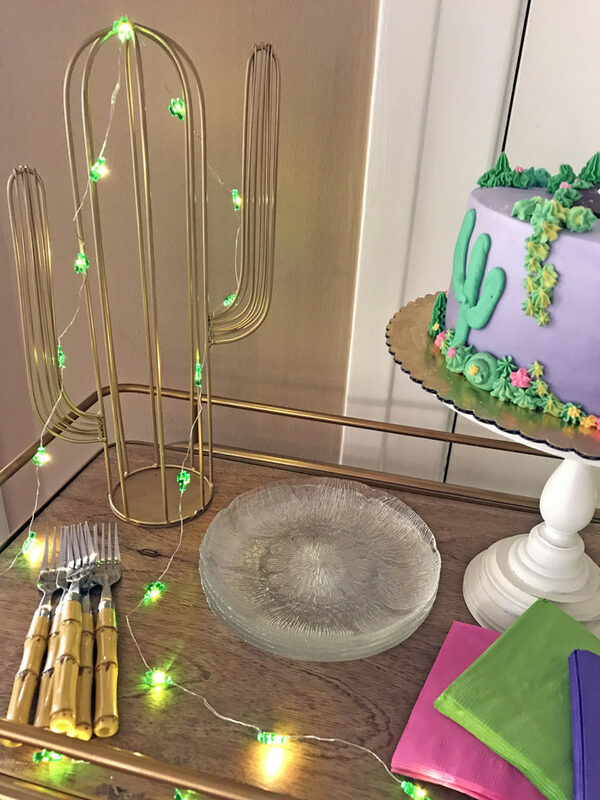 I “borrowed” a few of her cactus items to decorate the bar cart…a gold metal cactus , a mini cactus pinata, and some cacti string lights. 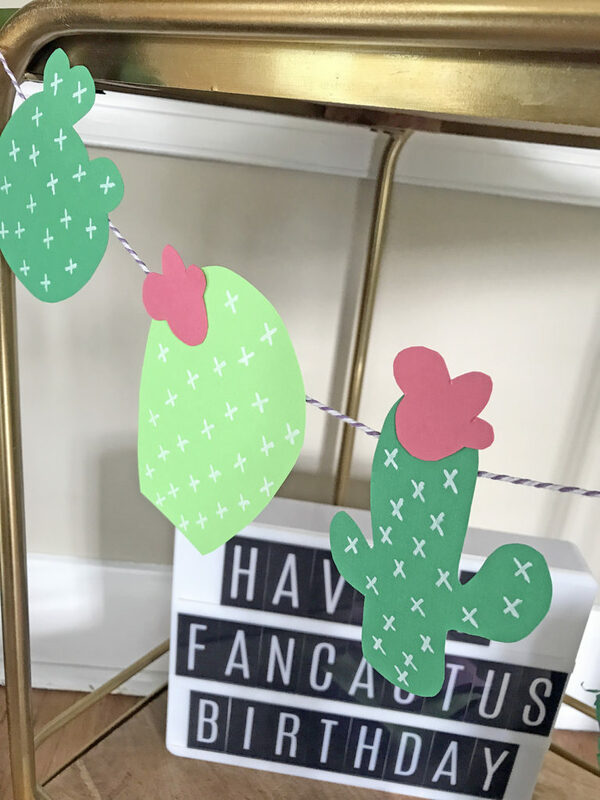 For a pop of color, I added a simple garland of cacti that I made using cardstock. 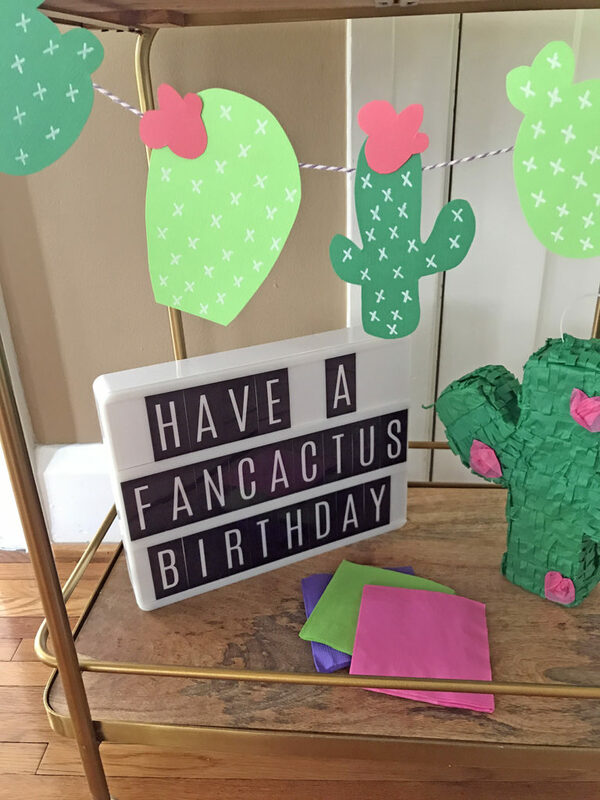 And I had a little fun playing with words using my light box sign…HAVE A FANCACTUS BIRTHDAY! And the most important part…the cake! I used a cake stand to give it some height since it was the ‘guest of honor’ on this birthday cart! 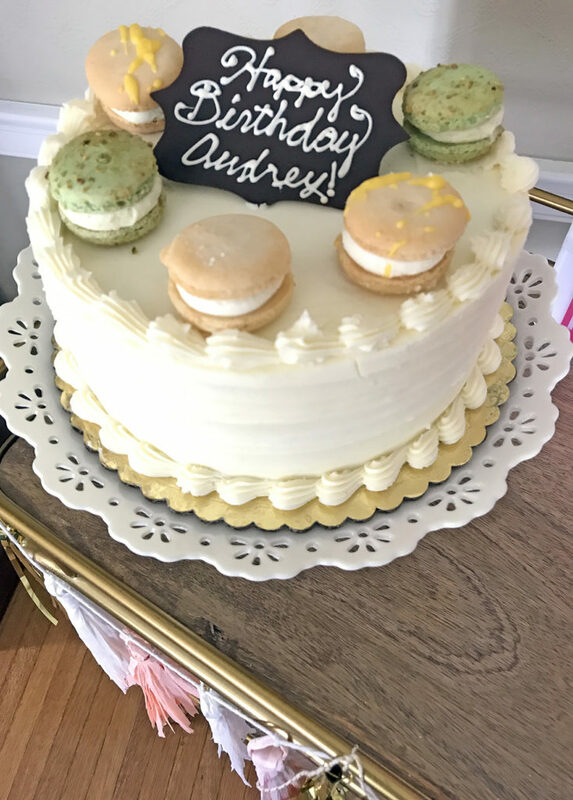 Audrey turned 20 a few days ago (I’m still trying to figure out how that is even possible), and I decided on a “macaron” theme for her birthday cart. 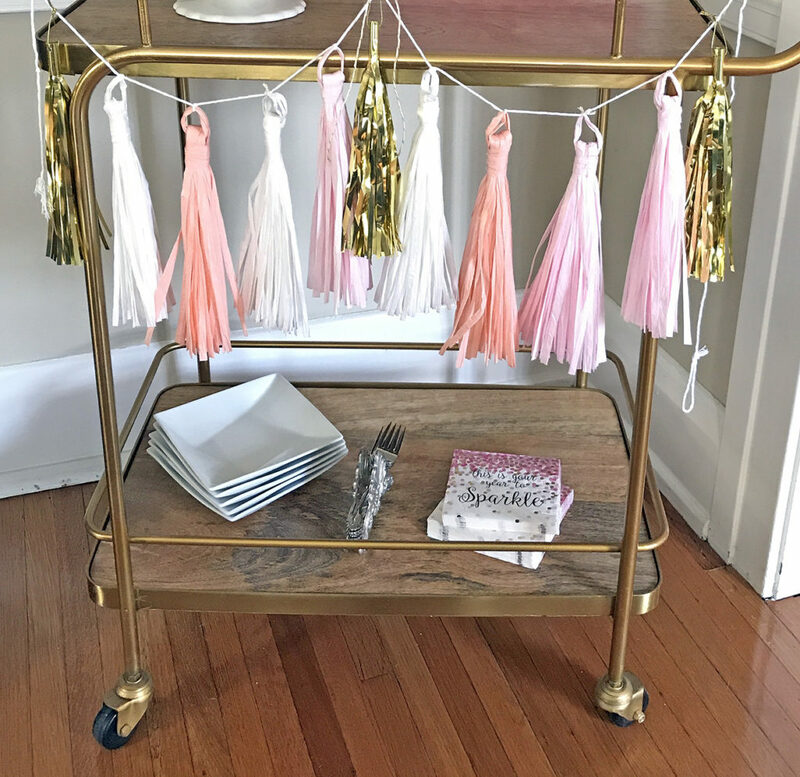 For this celebration, I kept things a bit more simple…just a tassel garland in pretty shades of pink, white, and metallic gold. And that sign again…well, actually two of them! 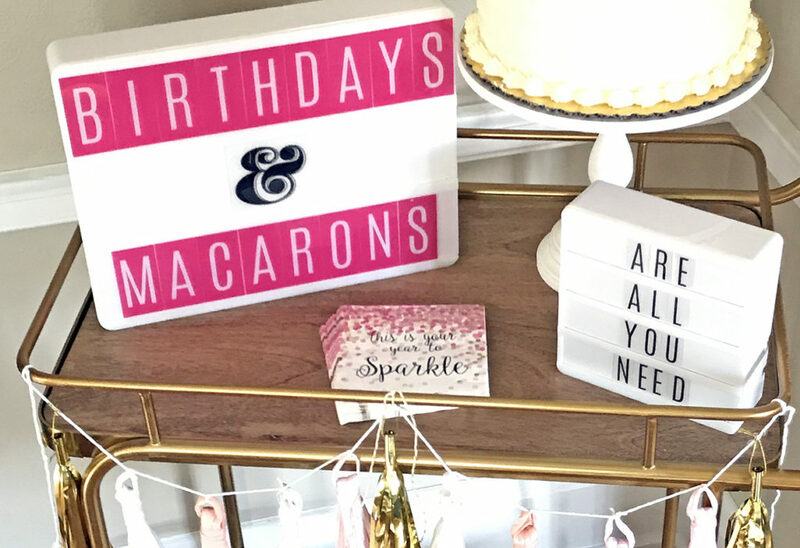 BIRTHDAYS & MACARONS…ARE ALL YOU NEED! Would you agree? 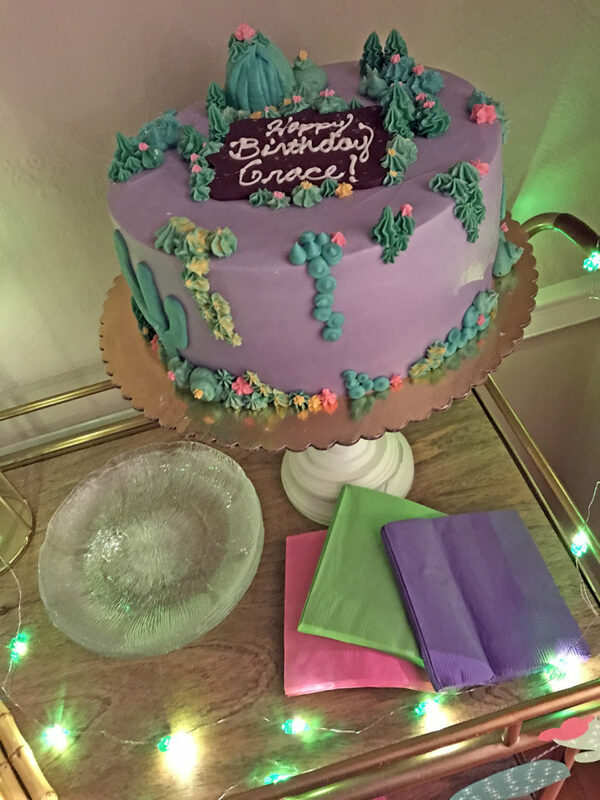 And the cake…not only did it have macarons on top, there were some crushed up inside and mixed in with the frosting! The necessities were part of the decor, as well…plates, napkins, and forks. 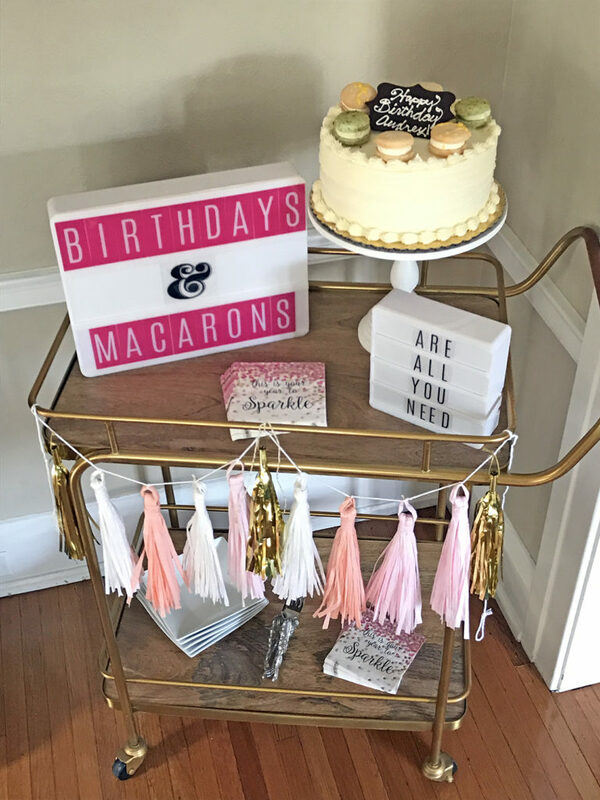 With just a few festive touches, I was able to turn my bar cart into a birthday cart for celebrating some very special birthdays! And like I always say…it’s all about the presentation!! !